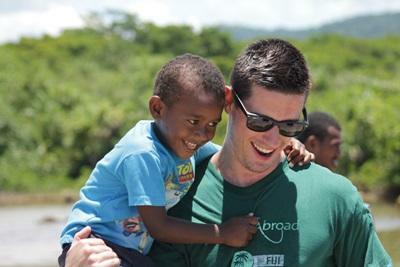 A short-term volunteer trip is a great option for anyone that has a tight schedule. The flexibility of our programs makes it easy to fit in a worthwhile volunteer placement during any amount of time you have available. We offer a range of trips from 2 weeks and upwards. 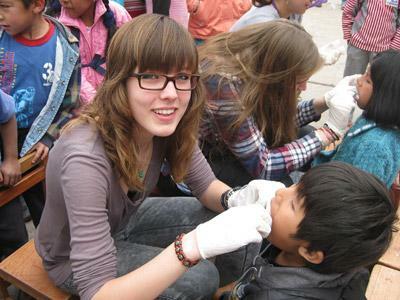 If you have ever thought that you would like to take part on a voluntary placement abroad, but are just not able to commit the amount of time that is commonly required for this sort of thing, then Projects Abroad may be the international volunteering organisation you have been looking for. To see where short-term trips are available, check our prices page - if there is a price listed in the 2 Week column, the program can be done for that amount of time. Volunteers on short-term projects are given the same benefits as those who join us for longer periods of time. Our start dates are flexible – just pick any weekend to arrive – and you’ll begin your project quickly after your arrival to maximise the amount of work you can do in-country. In many cases, you’ll also live with a local host family, which will provide you with the opportunity to get completely immersed in the local culture during your short stay. As always, you’ll have the support of our in country staff and our extensive volunteer network. Although you may not be able to make quite the impact of our longer-term volunteers, you will still be working intensely within the local community and building meaningful relationships. This will impart a level of cultural insight that is not possible for tourists to achieve. For younger volunteers (ages 15-18), we recommend our High School Specials. These run for 2 or 4 Weeks throughout the summer months and during winter break. The High School Specials are group projects that have a high level of structure, supervision, and central planning by our local staff. You will be in a group of students your own age for the entire project. This is a great opportunity for those that haven’t volunteered abroad before. Have a look at the Projects or the Destinations we have on offer to find out some more information and see what options are available. If you have any questions feel free to contact us by phone, email or live chat.